You are here: Home » SmallBiz News » How Can Artificial Intelligence Benefit Business Communication? March 10, 2018 (Powerhomebiz.net)Before we begin with the association of AI with video conferencing, it is important to have a clear concept about AI. Artificial Intelligence is about making machines smarter, enabling them to think and act, replicating humans to some extent. The dynamic nature of modern business environment has tantalized business owners to incorporate artificial intelligence into the workflow, making it more user-friendly. However, with the advancement of latest technologies organizations have been able to incorporate AI in a more tangible form into the enterprise workflow. 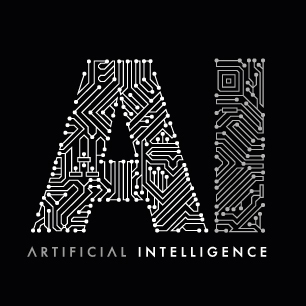 “Artificial intelligence (AI, also known as machine intelligence, MI) is Intelligence displayed by machines, in contrast with the natural intelligence (NI) displayed by humans and other animals.” (Wikipedia). Al is a concept that makes machines smarter enough to take decisions and work based on it. This can be utilized for our benefit without posing any threat to our existence. AI cannot make machine smarter enough to take up our jobs or replace us in any forms, as some of us might fear. Machine Perceptions teaches the machine to use their sensory input associating with their general computing skills to provide us with outputs, easier to utilize and adhere to. The Social AI is making machines smarter to deliver better user experience socially. The greatest example of Social AI is the “Face Tagging” feature in Facebook that allows users to tag friends in their stories on the News Feed. Though Social AI won’t replace human engagement altogether but shows endless potentials for social media marketers. How is PeopleLink Integrating AI into enterprise communication? AI has already set its foot into the modern business world, especially within the domain of virtual communication. We at PeopleLink has integrated AI to make our VC peripherals and devices smarter than before. Our VC peripherals are “intelligent” enough to act upon without manual intervention. PeopleLink Conference cameras are specially designed to “autofocus” on the presenter or change views from the past to the currently active presenter. These cameras are even capable of auto-adjusting the brightness of the room to ensure clearer video during conference sessions. PeoleLink smart speakers and audio devices are capable of complete echo cancellation. They are designed to capture the voices of the speaker/speakers across the room set aside all the unwanted noise or echoes, resulting in impeccable audio quality. All the stakeholders in a conference can clear hear each other clearly, making a virtual meeting more productive. PeopleLink’s instance, the WebRTC based virtual collaborative platform is also programmed to send auto-reminders and notifications about meeting. PeopleLink’s video-enabled LMS solution can auto-assess the student’s performance assigning them grades according to the marks obtained. PeopleLink Unified Communications Pvt. Ltd.
PeopleLink is the top video conferencing company among top 100 most admired brands of India.